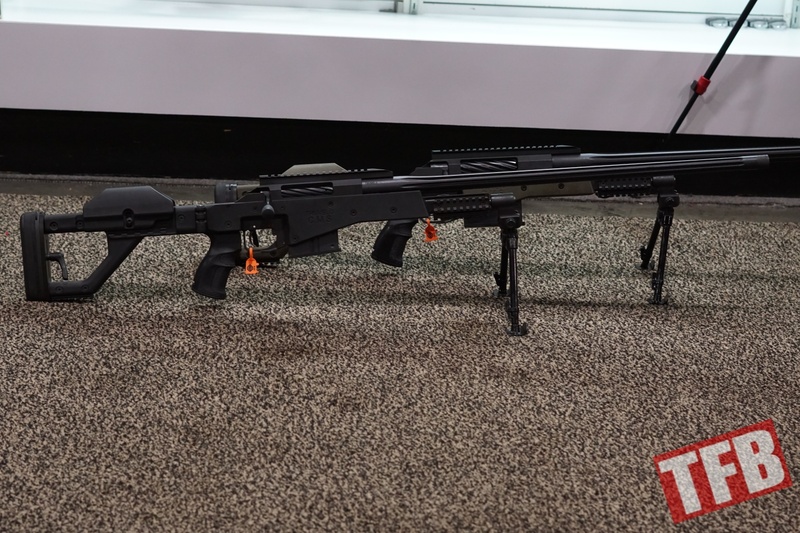 South African Truvelo had their CMS rifles on display at the Pheonix Defense booth. 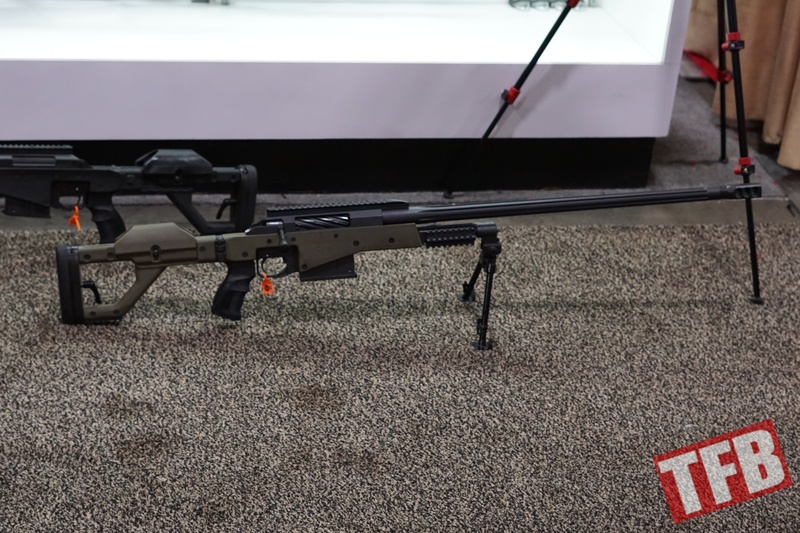 We’ve covered the extremely short barrel (15 inches) 20x42mm and the single shot 20x110mm anti-material rifle from Truvelo, but this is an opportunity to look at the company’s popular 7.62x51mm NATO and .338 Lapua bolt action, magazine fed precision rifles. The only difference between the two is essentially the long and short actions lengths and the caliber. 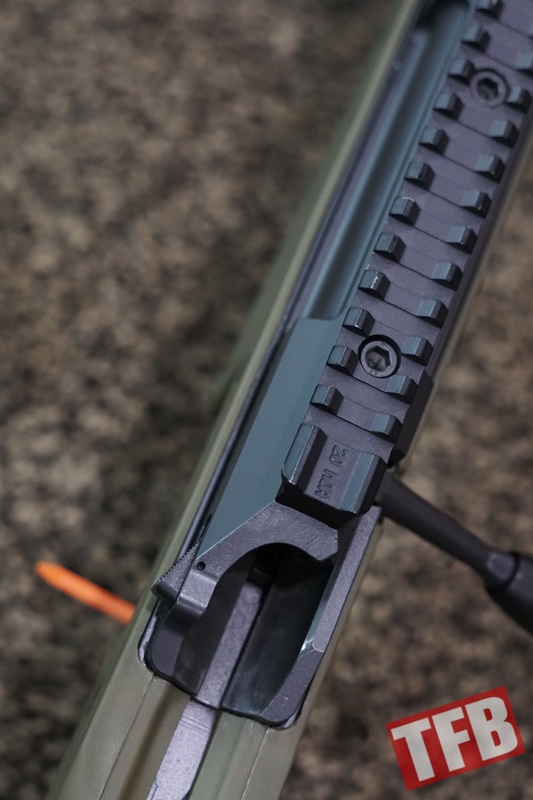 Additionally, the .338 Lapua version had a muzzle brake installed while the 7.62x51mm version had a simple thread protector installed on the muzzle. 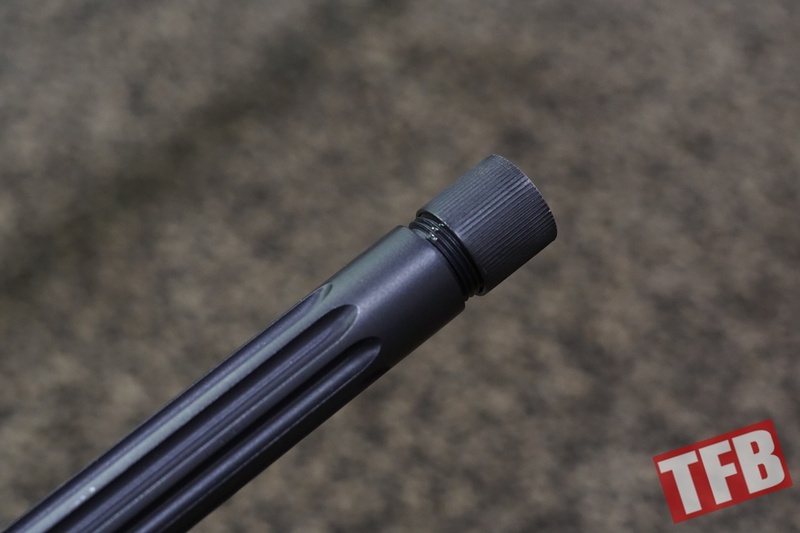 Unlike many modern precision rifle manufacturers, the bolt handle isn’t turned down and is instead a straight design instead of curved. 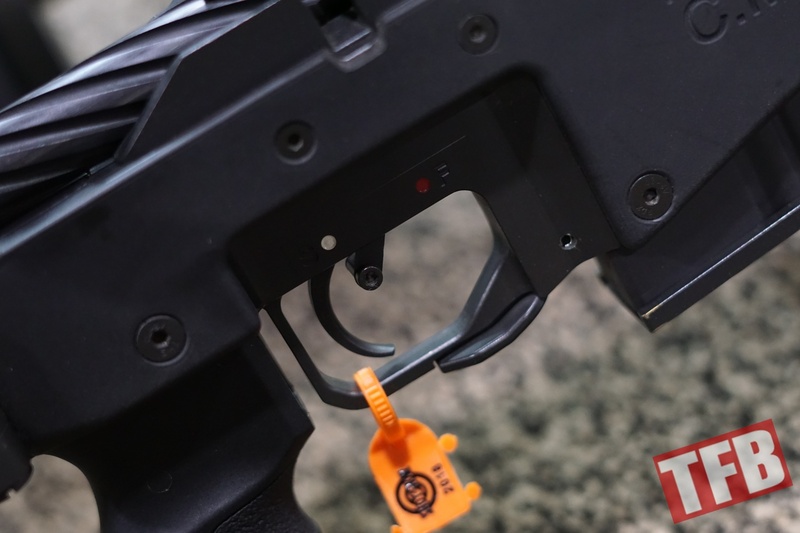 Apart from an interest for a faster bolt throw due to the angle, this allows the rifle to have the stock folded to the right with the bolt in the unlocked position during transportation. 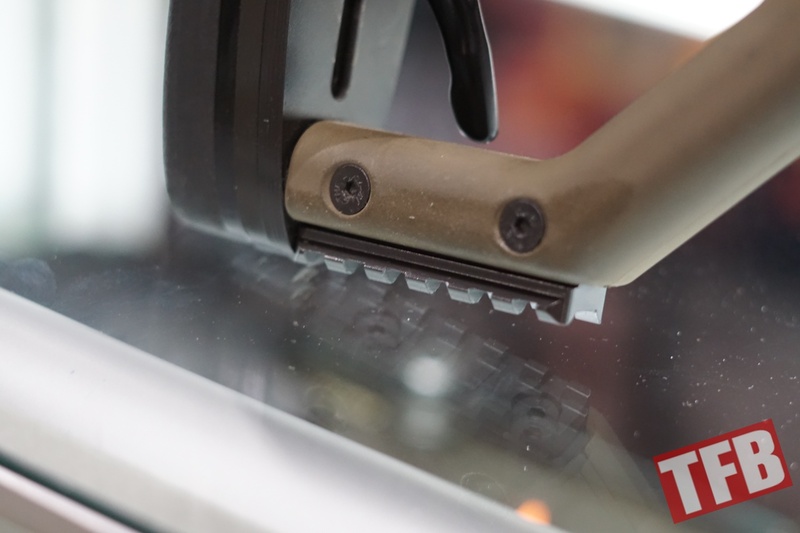 Numerous other folding rifle designs actually incorporate the exposed bolt handle into the contour of the folding stock. 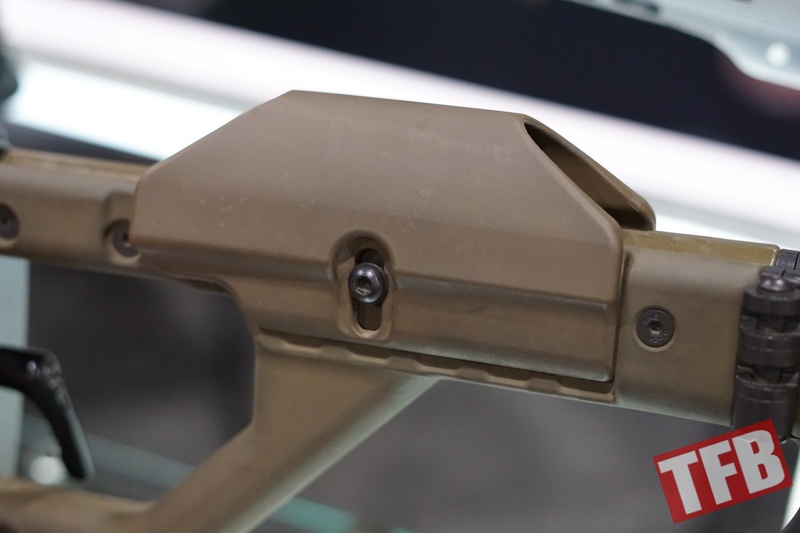 Notice the 4-lug bolt head and the spiral cuts down the bolt carrier itself. 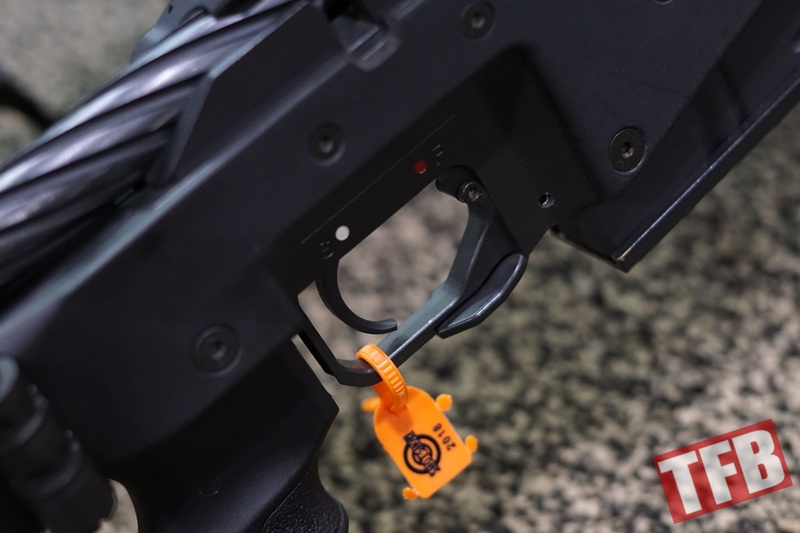 The safety lever and magazine release are both ambidextrous, with the ability to be operated by the trigger finger while still on the rifle in a firing position. 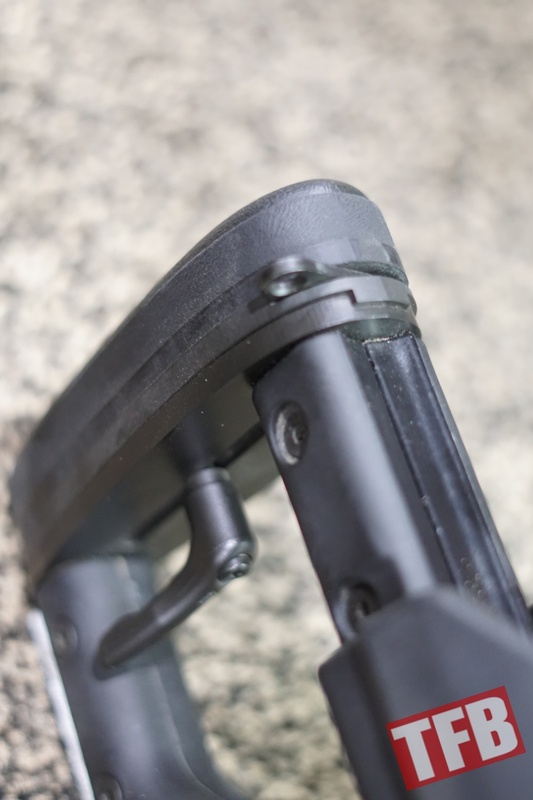 The folding stock has several adjustments for both length of pull and cheek rest height. 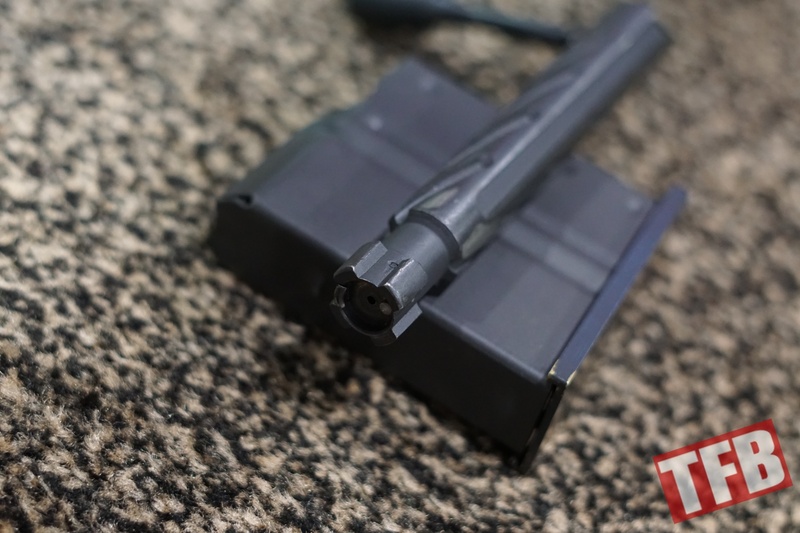 In addition, it also has a modified Picatinny rail for attaching a monopod to. Also note that the sling swivel can be moved from left to right in the stock. 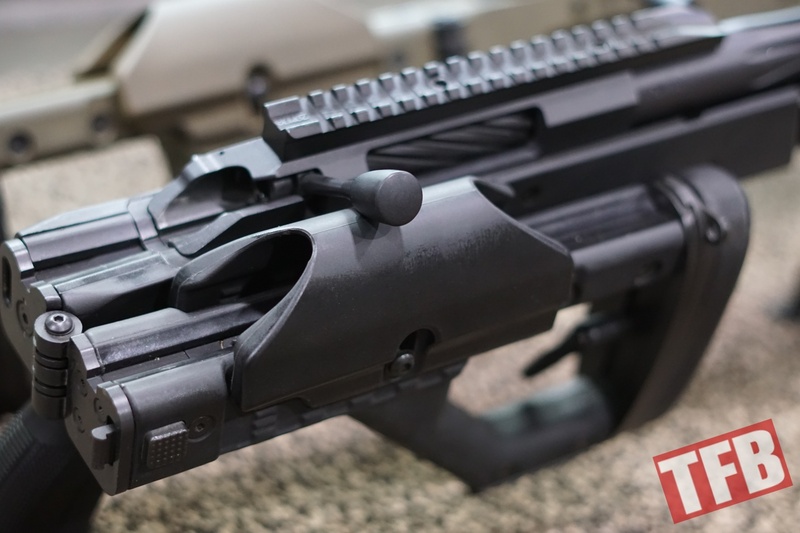 The 7.62x51mm version has a simple thread cover on the muzzle (a possible option for a direct thread suppressor), while the .338 Lapua version has an actual muzzle brake installed. Notice the flutes on the barrel. 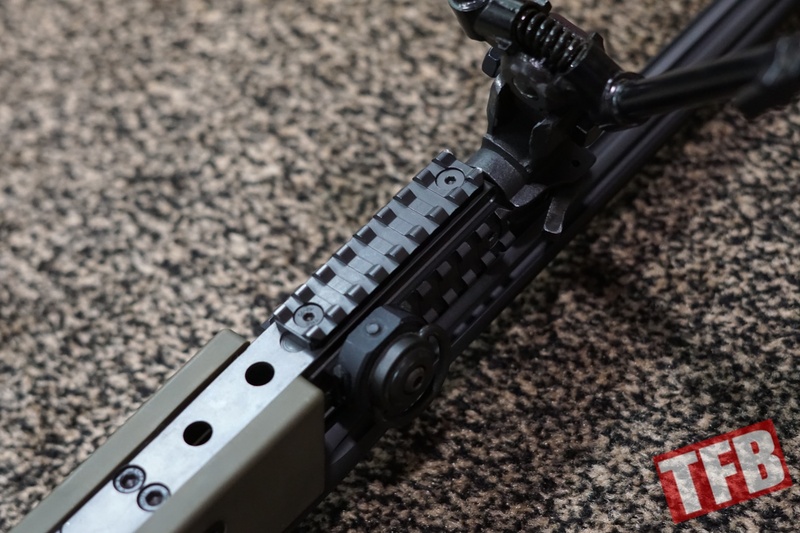 Modified Picatinny rails with the center portions cut out are mounted at the 3,6, and 9 o’clock positions at the end of the handguard, while what appears to be a Versa Pod inspired adjustable bipod can be removed from a rod that extends out of the handguard. 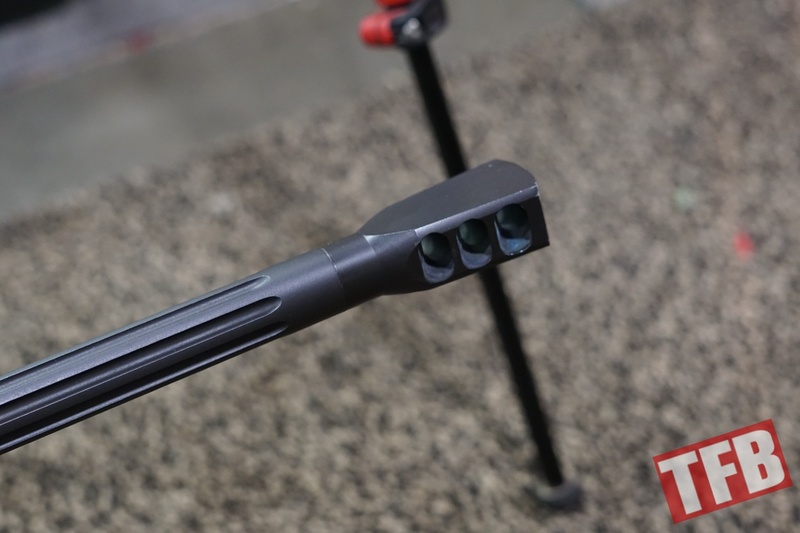 The optics rail has a 20 MOA scope base. 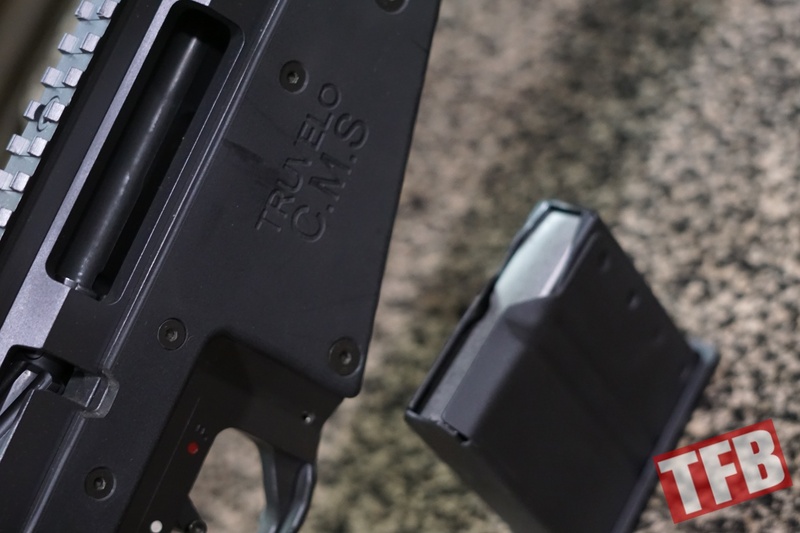 The Truvelo CMS line is available in the United States through Gun Mountain LLC, in Henderson, Nevada.